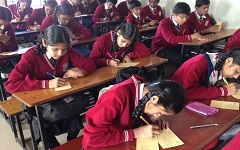 Throughout the academic year, there are numerous opportunities for prayer, meditation, and worship at Navyug English School—often several opportunities in a day. Sport that requires great technical skill and physical endurance. They become aware of the need to co-operate with others, using the best qualities of individual to contribute to the greater advantage of the whole group. Story can be incorporated into almost any part of a student's day. In this challenge, add motions to songs you already sing in the classroom or incorporate movement into stories you read aloud. Free play is an essential part of a child's development. Allowing time for free play helps to build a child's imagination and creativity, as well as problem solving skills. Here are some great ideas to inspire your own free play times. Self Study Materials are printed, recorded, or computer-assisted instructional materials which may be used over time at various locations and which, in themselves. 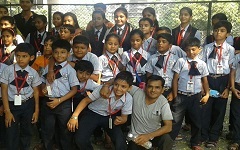 Study tours and Picnics are conducted once in every year. 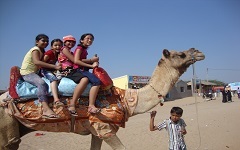 All the students should compulsorily take part in these one-day trips. There the students are taken to leading educational institutions, Large financial corporations,etc. 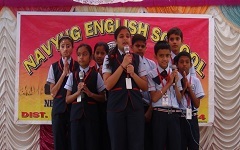 Group discussion competition in english organized was an amalgamation of intelligence, alertness and patience. The maturity level of students views was amazing. Students will visit The Places related to the on going unit in the class. Field trips can be an important and enjoyable element of education. Arts and crafts for kids are fun for children and the young-at-heart! These art & craft activities cover a wide range of subjects for young artists, future artisanal book makers, potential puppeteers, and more. 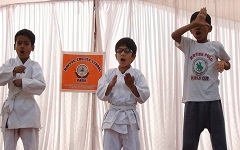 As an option for self protection we teach karate to our students. Karate is a striking art using punching, kicking, knee strikes, elbow strikes and open hand techniques such as knife-hands, spear-hands and plum-heel strikes.